A front walk way is the introduction and welcome mat to your home. 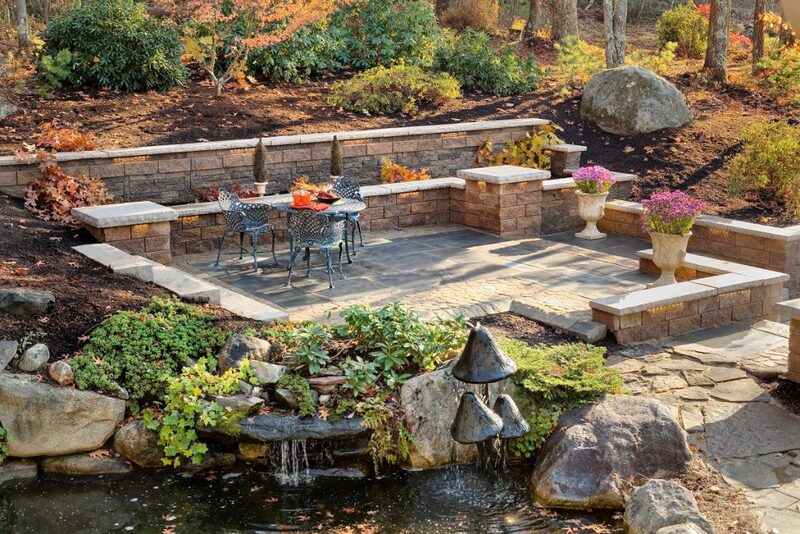 Interstate Landscaping in southern NH offers high quality and attractive brick paver choices for the welcoming look you desire. Outdoor living spaces expand your home’s foot print. Outdoor kitchens, patios, and fire pits add zero maintenance space where you may gather with friends and family. Let us create the outdoor living space you will want to staycation at for years! Do you consider life cycle costs when choosing a surface for your driveway? Let us install a driveway that not only looks great and adds value to your home, but will also last a life time. Our warranty includes a manufacturers lifetime warranty on pavers and a 5 year warranty on labor.